Here is our guests’ thoughts who recommend to anyone looking to experience the lakes region of Italy with the Segafredo family as hosts. All the family works here at Bike Hotel Ungheria, where you stay and the daily rides start . For our guests, we seamlessly tie together the experience of staying at the hotel and the biking experience. 1. 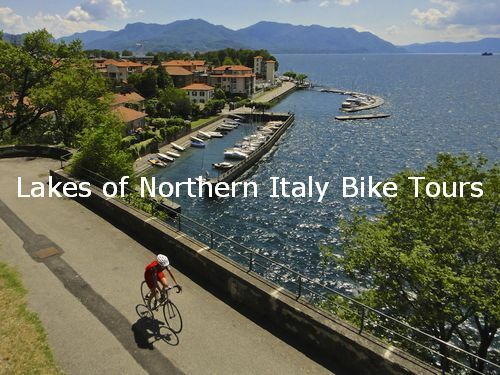 - Most other bike touring companies move you from hotel to hotel as we follow the tour route. I personally do not want to sleep in a different bed every day. For many of us who would like to stay in a single location and take daily tours, or not, or mix and match routes for different levels of fitness, your program is terrific. 2. - There was challenging without being too difficult, nice roads with manageable traffic. There were some good climbs that provided for a good workout. Each ride leaves the hotel in Varese and the first 5-6 miles go through the city and there are plenty of cars in that stretch out and back but after that traffic was mostly a non-issue and after the first day we were comfortable leaving and returning to the hotel. Once you get out of town (5-10 km) you essentially have NO traffic, great forests, beautiful views and very interesting historical towns to stop in. 3. - No matter what your fitness level is, every day the ride can be designed to challenge you or alternately give you an easier day, if needed. There is something for everyone, and for non-rider too. 4. - Everything is taken care of – all meals, laundry, hard or easy ride options, the sparkling accommodations and more. The breakfasts were fantastic, MORE than enough. The snack for lunch was very good, the snack when we got back was also EXTREMELY good. The Fresh baking by Anna every day was and should be a great selling point in your website. It was very nice to have our bike clothes washed for us each day. 5. 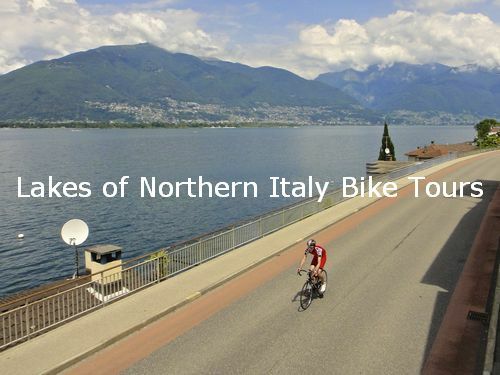 - The Segafredo family have created a warm, hospitable, traditional hotel experience complete with quiet rooms, a fantastic breakfast, food for a day of biking topped off with a classic northern Italian meal. 6. - The climb to the Shrine of Madonna del Ghisallo, the patroness saint of cyclists. Is starts in Bellagio and leads up to the Shrine of Madonna del Ghisallo, the small church near Magreglio village on a hill between the two branches of Lake Como. That is the Holy Grail for any cycle fanatic. Inside the walls are adorned with famous bicycles from the Giro d’Italia and anyone who has pedalled it. The ride of Madonna del Ghisallo is an all-day ride from Varese.